This past weekend The X Academy held its first audition clinic of the 2016 season with 100+ students in attendance and debuted the new wraps from ON2 Percussion. Students from across the nation came to learn from our amazing staff and receive feedback on their performance. 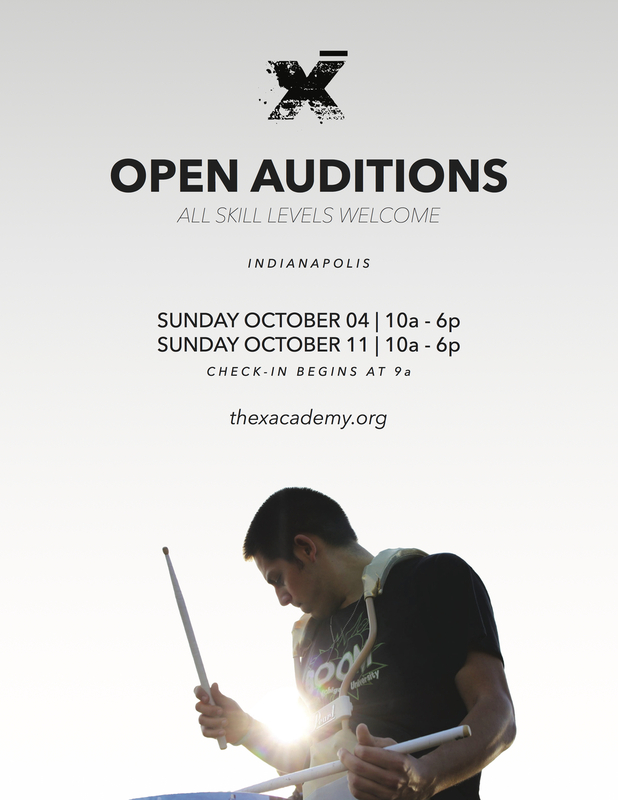 If you have not yet registered for the next audition clinic on Oct. 11 you can here. The clinic started with rotations between sectionals, individual auditions, and visual dance blocks, then we held full wind and percussion ensembles to close the clinic. Rhythm X live streamed the full battery rehearsal through Periscope, making it easy to watch our rehearsals and see X16 form. Simply download the app on your phone, follow us on Twitter, and we will release a tweet when the live streaming begins. Tune in live on Periscope at 4:45p to see the full battery play together at the end of the first #X16 Audition Clinic! Periscope is one of the many ways you can be a part of #X16. Follow us on Twitter, Instagram, Facebook, and on Snapchat at 'rhythmxinc'. Thank you to all of the students that attended the clinics this weekend. We are very excited to get the X16 season underway.